Joan Sanderson's life is stuck. Her older sister, Allie, is starting a family and her younger sister, Tori, has a budding career. Meanwhile, Joan is living at home with Mom and looking after her aging grandmother. Not exactly a recipe for excitement. That is, until a hunky young doctor moves in next door. Suddenly Joan has a goal--to get a date. But it won't be easy. Pretty Tori flirts relentlessly with him and Joan is sure that she can't compete. But with a little help from God, Allie, and an enormous mutt with bad manners, maybe Joan can find her way out of this rut. Book 1 of the Sister-to-Sister series, Stuck in the Middle combines budding romance, spiritual searching, and a healthy dose of sibling rivalry. Joan Sanderson is 25 years old and lives with her mother and grandmother. Then a cute, single young doctor moves in next door. Need I say more?! Well, perhaps I don't. But I will - because there is more to this story. This story isn't just about a girl and a guy. It's about family and it's about sisters. It's also about taking that extra step with God and allowing Him into your life to heal your pain. And then it's about taking that love from God and extending it to other people. I loved hearing Joan's inner dialogue as she struggled with her distant perspective of God and discovered her yearning for a closer relationship with Him. 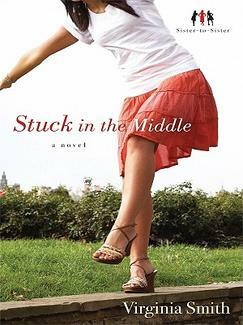 Despite these themes, "Stuck in the Middle" is a funny and entertaining book. The antics and dynamics between Joan and her two sisters is fun and so easy to identify with, particularly if you have siblings of your own. 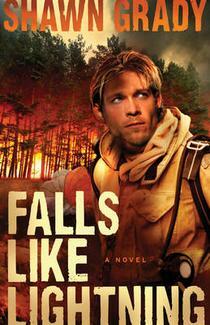 I didn't mean to read this book yet, I had a pile of other titles in front of it on my to-read list. It was sitting on my smart phone ready for it's turn. But I was waiting somewhere, so I picked up my phone and started to read it to pass the time. It took me probably two chapters and then suddenly it had cut in the waiting line and planted itself at the top.